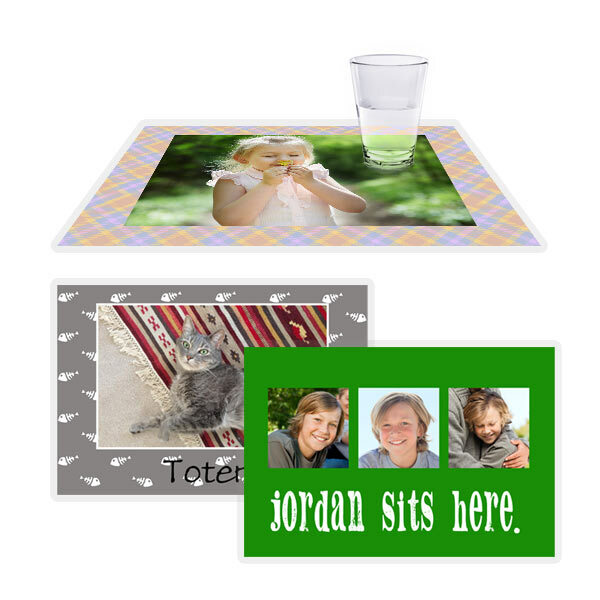 Add color to your dining room table with a personalized placemat. 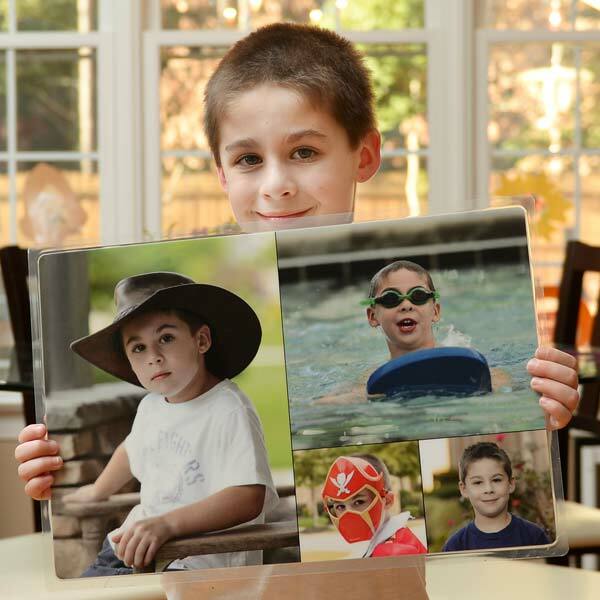 Design a placemat using one or more photos and text. Multiple color and background options available, so you can create a placemat that is perfect for your room, or personality. 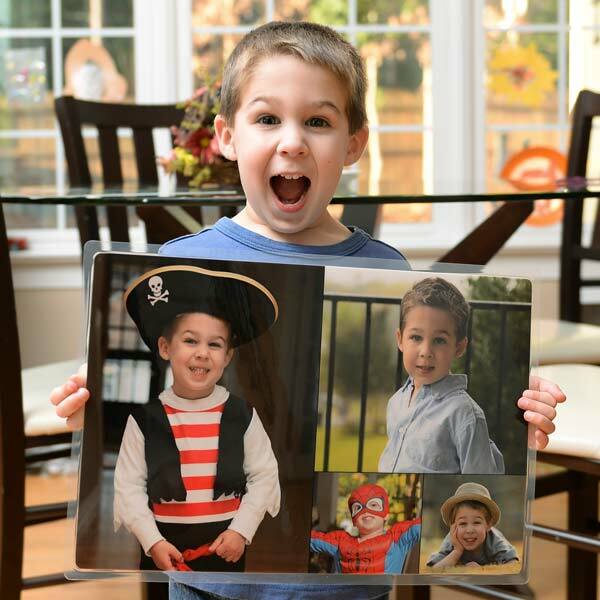 Create placemats for parties or different seasons and enjoy your photo memories all year long. Protecting your Floor: Ideal as a pet food mat. Combine it with our custom dog bowl for the perfect pet gift.